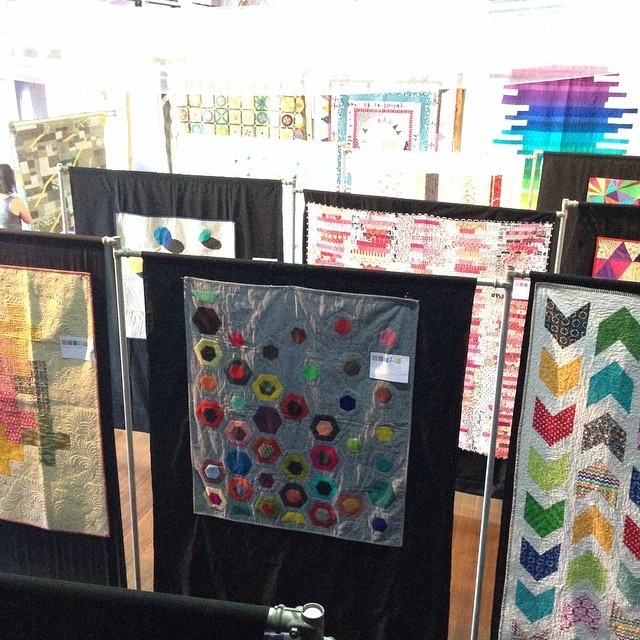 The Canberra Modern Quilt Guild provides an outlet for quilters and crafters of all abilities to connect, in person and online, and share their passion for all things quilting. 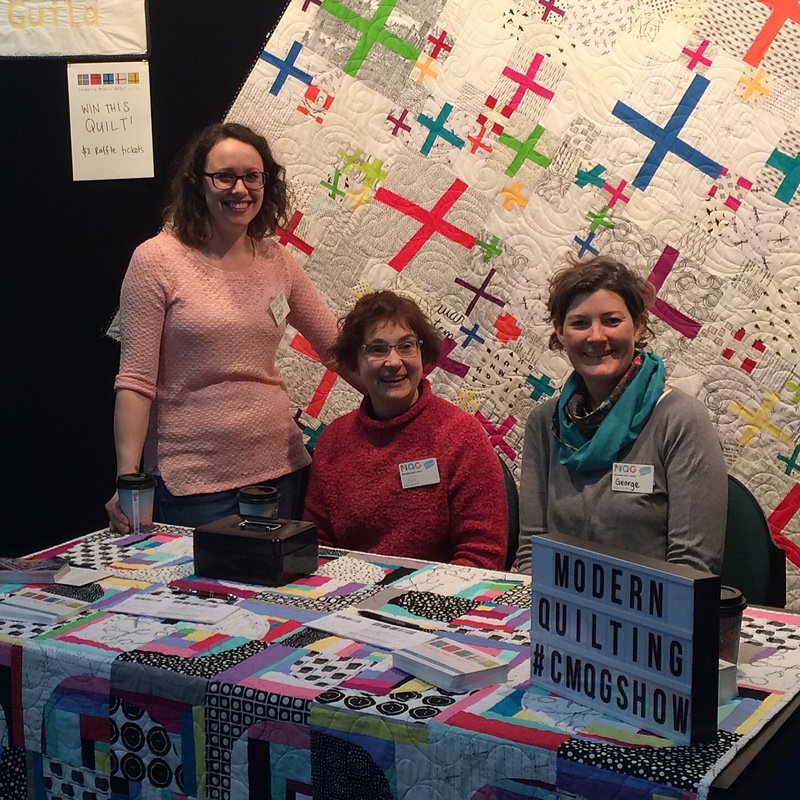 The MQG promotes the art of quilting with a modern aesthetic, and provides encouragement and support to new members interested in learning more about quilting. Through the global MQG movement, the Canberra branch connects with like-minded people around the world, drawing new inspiration and sharing our ideas. You can read more about the modern quilting movement at The Modern Quilt Guild website. You may be new to quilting, perhaps you have engaged in other crafts over the years, but are interested in finding out what the fuss is all about and would like to try quilting. Or you may already be a quilter and are looking for others interested in new fabric lines and testing out patchwork and quilting techniques, both tried-and-true or new. You like exploring the work of others through blogs, Flickr, Instagram, Twitter or other online means, and would like to share your ‘finds’ and connect with other modern quilters. We have our regular meeting on the fourth Thursday of each month (except December), 7:30pm at the Downer Community Centre at Frencham Pl, Downer. 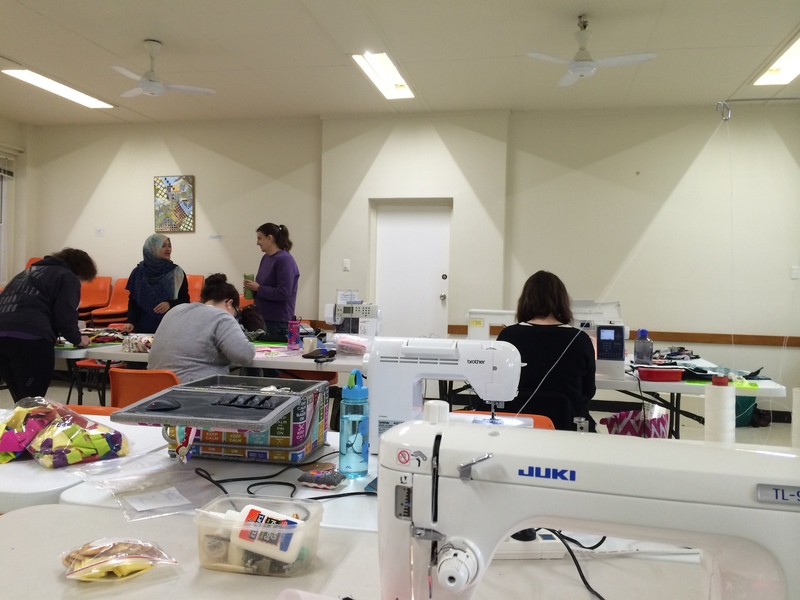 We hold regular sewing days from 10am to 3pm on the first Saturday of each month (except January) at the Downer Community Centre. We’re also on Facebook where we stay in touch throughout the month.